No joyous ties or frenzied hose. Remember they're a G.I. fit. 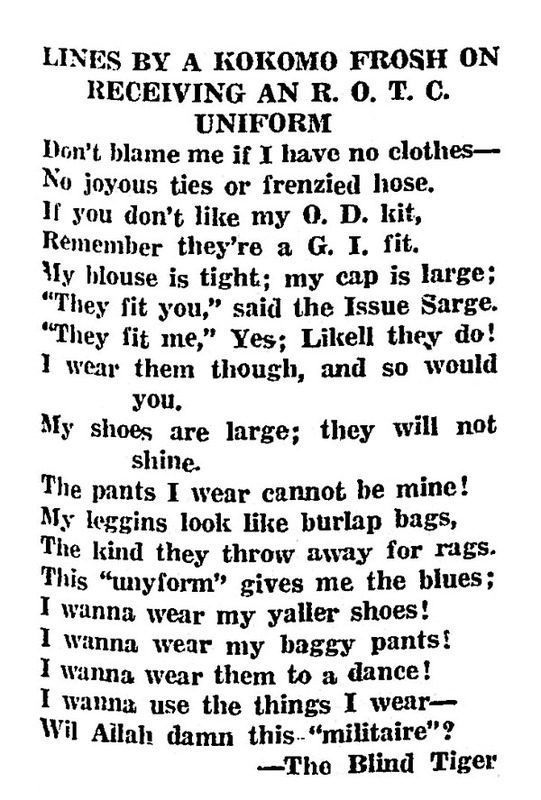 "They fit you," said the Issue Sarge. "They fit me," Yes; Likell they do! I wear them though, and so would you. My shoes are large; they will not shine. The pants I wear cannot be mine! The kind they give away for rags. I wanna wear my yaller shoes! I wanna wear my baggy pants! I wanna wear them to a dance! Wil Allah damn this "militaire"?